While enjoying stage performance, why don’t you chat and make a lot of new friends? 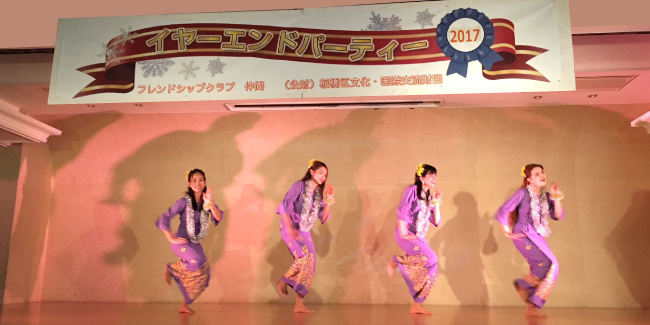 International events of dances from Myanmar, Shamisen play and others on stage! Snacks will be served. *No reservation required. Come to the Room directly.